At Home in London is a network of over 70 private homes in central and west London offering Bed & Breakfast accommodation. 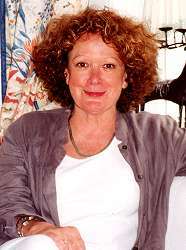 Maggie Dobson started At Home in London in 1986 in order to provide comfortable, central and affordable accommodation for tourists and business people visiting the capital. Maggie continues to carefully select the homes. Areas covered include Knightsbridge, Kensington, Chelsea, Mayfair, Victoria, Chiswick, Hammersmith and Kew Gardens. Prices for double/twin rooms including private bathroom, breakfast and tax range from £55.00 – £83.00 a night per room. Family rooms available.